this is what I said in my first post as a conclusion maybe you missed it. "What is clear is that TAY is a commercial site with a goal of making a profit. So let's not confuse that site with free speech rights." Saying that TAY is a "commercial site with a goal of making a profit" doesn't seem quite the same as Bedivere's clarification that TAY (and NWHikers for that matter) are private mediums (with posting guidelines) and hence you don't have rights to "free speech". It sounds more like an attempted slam at TAY. As you say in your first, and many, posts, you're big on "supporting facts". So maybe you have evidence that TAY is out to make a profit. But my guess is that they're just trying to (partly) cover hosting costs. a website or a culture becomes "vanilla" when you ban all those with a divergent point of view point and who are willing to express that point of view on any public format thread. Sure I'll comment on a thread that paints a rosy picture of heli-skiing on pristine powder snow that resembles an advertisement and ignores or is unaware of the trash that is left as a result of that form of recreation or ignores or is unaware of the impact that form of recreation has on others. So I mentioned that fact on a thread and was heavily flamed for it. Keep in mind the most of my opinions are based on fact and yet facts are not used to debate my point of view. I am definitely not a victim so please don't try to put words in my mouth that I play the victim. I was simply banned from a website which has very little impact on my life. That type of straw man building was and still is a common forum debate tactic. The trouble is when you build a straw man, other people except that as fact and continue building that same straw man. If you don't like the message that's one thing, but trying to kill the messenger is pointless. I don't intend to play a game where I sugar coat everything so the pill is easier for anyone to swallow. I am definitely not a self promoter and I'm fully aware that my style does not support my self interest. The ideals of commercialism that place self-interest money gain, power and control of public land over the needs of Public Safety and health is the message. Why should a helicopter-ski company be allowed control of so much public land that benefits the relative few people who can afford that type of recreation while passing public health and safety risks onto a greater number of human powered Backcountry skiers out for a day of peace, quiet and seeking solace in the wonders of nature? I find it interesting and ironic that the forest service approved a plan to heli- fly customers out to to a remote Hut so those customers can enjoy peace and quiet away from the impact that the rest of the heli-operation has along the Highway 20 corridor. These are the realities that people do not want to hear. This is the point of view that was banned and erased from an entire website pretending to represent the views of Backcountry skiers. The reality is that most Backcountry skiers do not participate in writing trip reports to self promote their own egos under some self-delusion that they are sharing. Promoting ego can and does get people killed in the mountains. Self-interest also forms bias that shapes people's debate tactics, and unfortunately those become internet slams. These things I say are not intended to insult. They are intended to promote critical thinking and self-reflection aimed towards the goal of Public Safety and eliminating commercial conflicts and environmental impacts on critical mountain habitat environments. I do not want commercial interests to control our public land. It hasn't worked out very well for the planet. If you accept commercial helicopter use of our mountains why would you exclude a copper mine from Mazama? Or Drilling for oil in an Arctic Wildlife Refuge? They are the same commercial high impact entity desiring control of our public land, reaping monetary rewards for self-gain, subject to the same rules and mitigation measures that allow such uses of our public land. And above is an example of the Flaming that was typical from this fellow at that site and now here. Not looking for any type of sympathy. Just reporting on the realities of the internet, that you have so clearly demonstrated. But yeah let's silence everyone in a country of free speech who does not agree with your point of view, right? And here is one of my threads that was erased on TAY that was part of my "Act". 6000 views at the time of that archive and the few from the vocal mob gets their way. What is the point of this post, other than to rant? It's a one way street... an endless smattering of dysfunctional syllogisms. Like every other Chris Freeski thread this one is turning into a highway of one way logic... endless rationalizations of a bottomless ego... unorganized meanderings... extreme righteousness, all under the guise of ethics and do-good-ery. How much good this is doing you can judge by the comments here... He fools nobody but himself. It's like what Tom said in the first comment: TLDR. Heaven knows how we will get there"
If TAY is a commercial for-profit organization, where is all of their money going? Certainly not into the website. It looks like something I would have whipped together in Geocities back in the 90s. 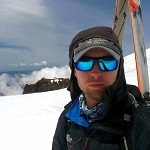 Freeski: Can you post on here when the highway is bikeable? I am a bit hesitant to ride it due to avalanche danger, but maybe just before it is opened for the summer would be good. Yes I will try to do that. Here is one of my threads that got deleted in the recent Divergent cleansing at TAY. The second post details a point of view that was a pretty common occurrence. The attacks and the childhood comments that were directed towards me where left up, while my threads discussing safety and conflict issues in my area between commercial use and the human-powered backcountry skiers were often locked down. This taken from the Wayback machine internet archive. The thread shows 20,000 views, but I'm guessing some of those are Bots doing what bots do. That they're allowing Billk's childish, personal attack to stand while stifling the discussion of an issue that directly affects skiers speaks volumes about their attitudes towards managing the conversation around here." At the time right before the cleansing, I had enough of it. One of my threads was locked down with the last comment being an insult by one of the moderators, the guy that started that Vendetta thing. I asked the administrator to remove that insulting post and he did. Still trying to figure it out. Could it have been the actions of a single moderator that caused such a thorough cleansing. Heat from commercial interest in public land? Threatened lawsuits? I am relieved to hear I am not the only one who thought that about the TAY site! In a stint as moderator on the site, I was not aware of these profits you write of!